Morning arrival in Siem Reap. Formalities, reception and transfer to the hotel. Lunch at the local restaurant. Installation at the hotel (from 14:00). Boat trip on Tonle Sap Lake, the largest lake in the South East country. Visit the floating village, a local school, fishing village ... Return to Siem Reap. Dinner in town. Night at the hotel. Breakfast. Welcome and guided tour of Angkor South Gate, visit the Angkor Thom Temple, built by Emperor Jayavarman VII, Bayon Temple, Baphoun, Leper King Terrace. 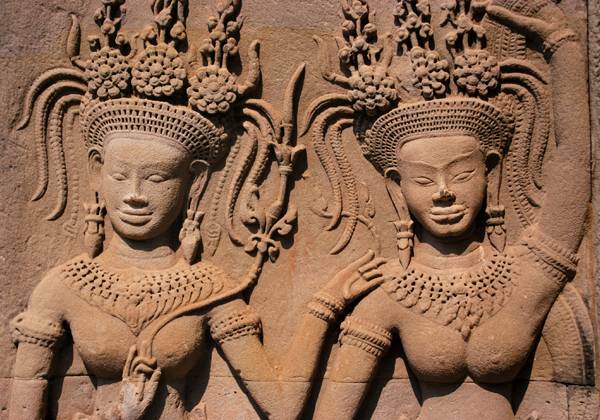 After lunch, visit the Ta Prohm temple. 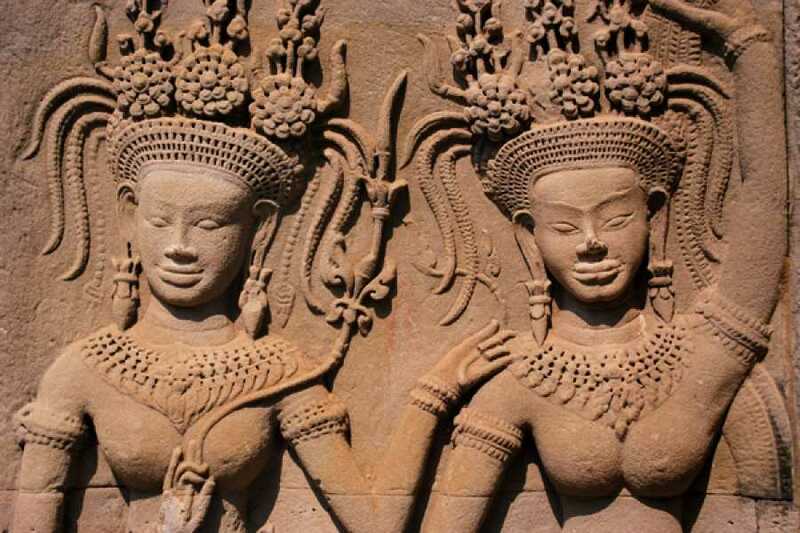 Continuation by the temple of Angkor Wat, ranked 7th UNESCO World Heritage Site, Angkor Archeaological Park. Enjoy the sunset. Dinner with Apasa show at the local restaurant. Night at the hotel. Breakfast. Departure early in the morning for transfer to Phnom Penh, the capital of Cambodia. Lunch on arrival. Guided tour Wat Phnom temple, Royal Palace, Silver pagoda, National Museum. Dinner at the local restaurant. Night at the hotel. Breakfast. Departure for Saigon by public bus route. Free lunch en route. Border formalities Moc Bai. Transfer to the center of Ho Chi Minh City (formerly Saigon). End of service.